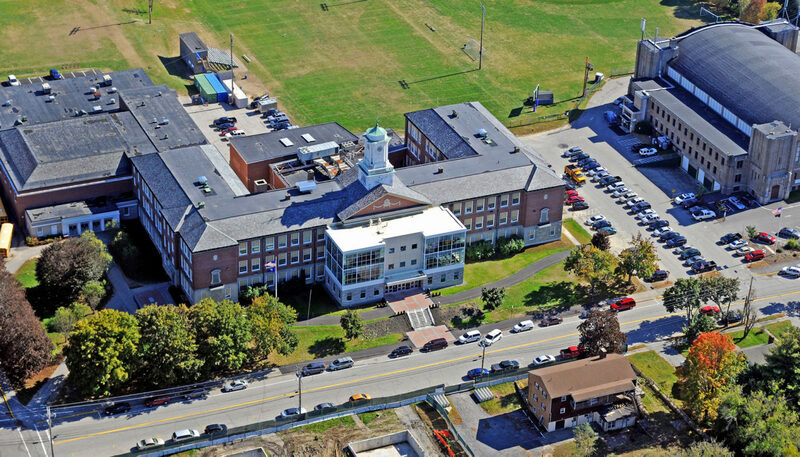 Lewiston Middle School, originally built as a high school in the 1930s, now has a three-story addition that houses administrative offices on the ground level, a library on the second floor, and science and fine arts facilities on the third level. 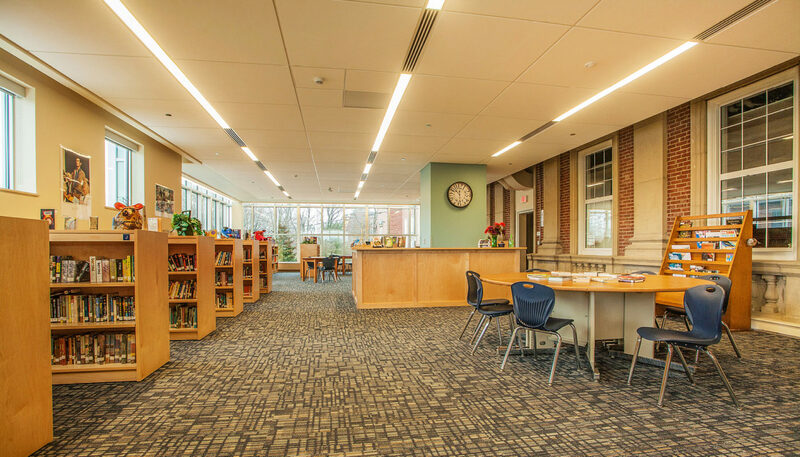 The phased project also included upgrades to the common spaces, fire protection, heating/ventilation, electrical and lighting systems, restroom renovations, enlargement of cafeteria, interior finishes, and general floor plan improvements throughout the school. 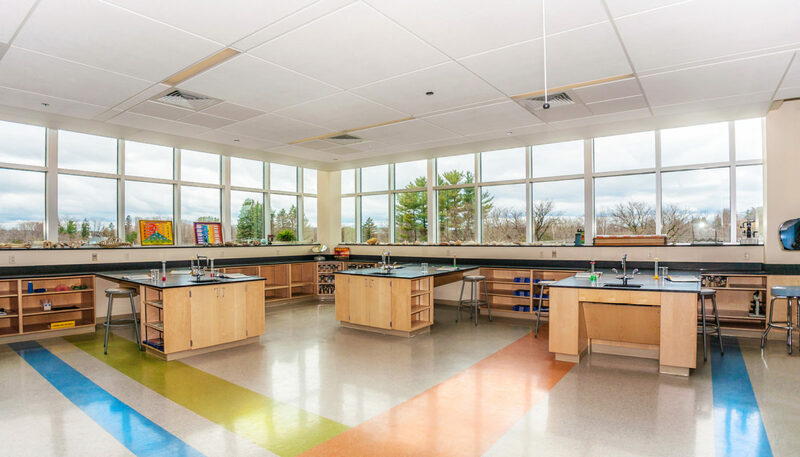 Lewiston Middle School’s 10,000 SF modern addition with high-performance glazed curtain walls complements the proportions of the original façade. 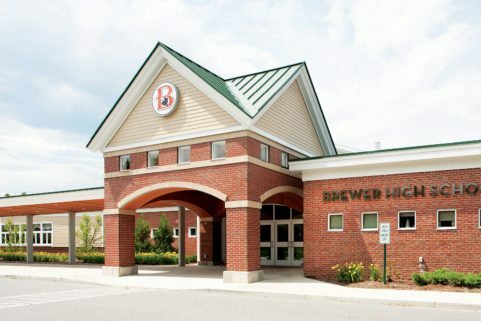 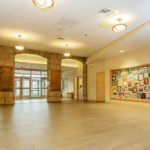 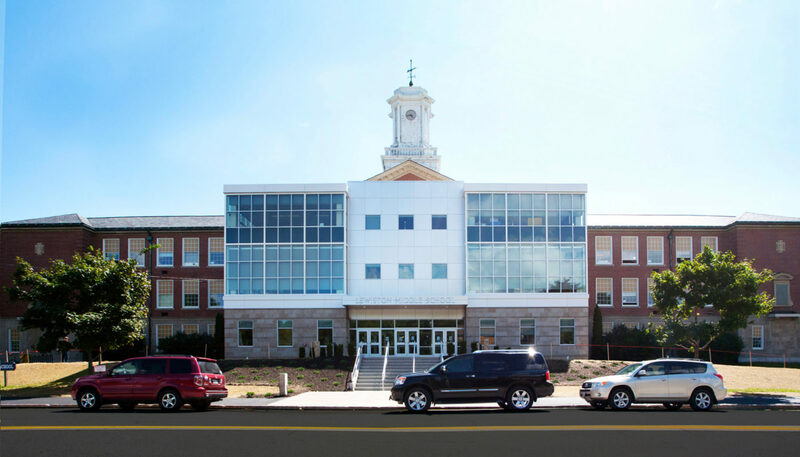 The addition allowed school leadership to bring all the administrative functions of the school — special education, guidance, health center, and main office — all on the first floor of the building. 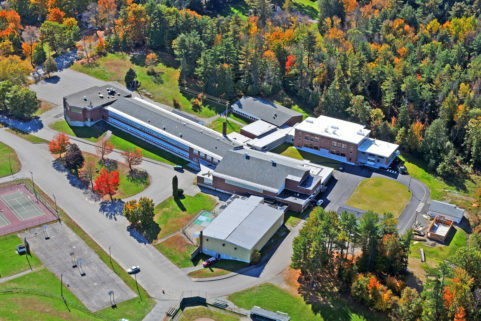 The project team also converted the school’s heating distribution system from steam to hot water, allowing more precise heating control, as well as improved energy efficiency. 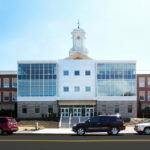 Second-phase renovations included upgrades to the common spaces, restroom renovations, and enlargement of the cafeteria. 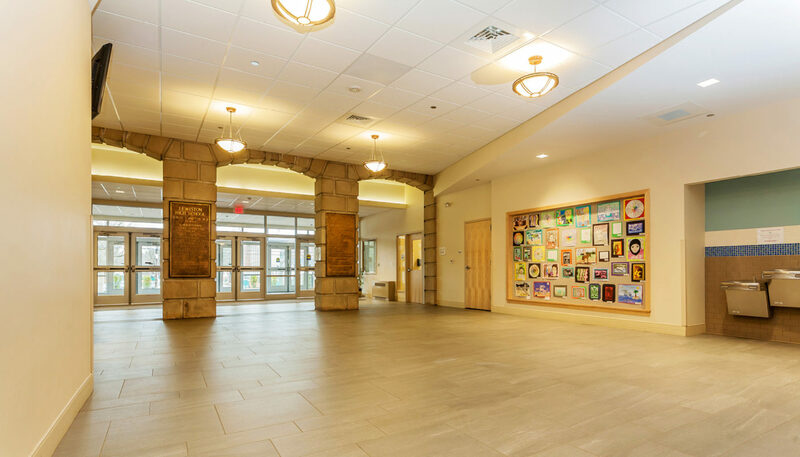 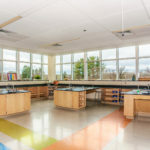 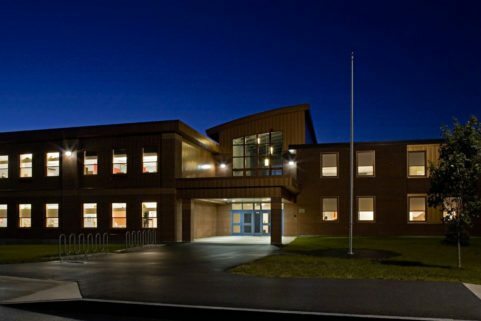 Through the juxtaposition of elements, the renovations and additions honor the school’s rich history while improving safety, comfort, and functionality for Lewiston Middle School’s staff members and its 700 students. 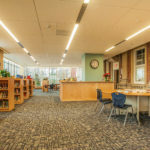 Visit the contractor’s website here.